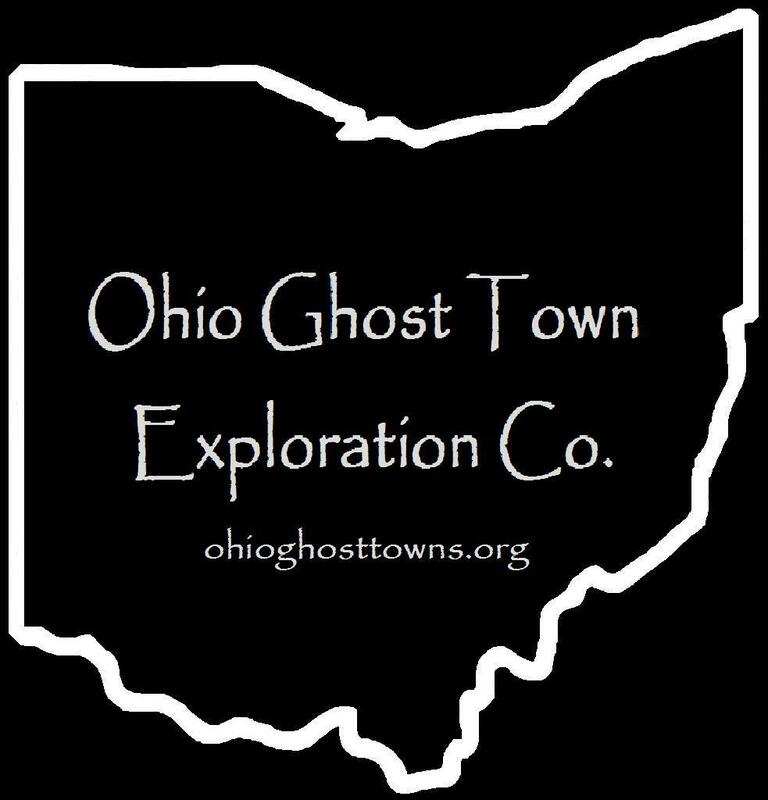 Mahoning County – Ohio Ghost Town Exploration Co. Description: The town was founded by War Of 1812 veteran General Peter Musser Jr. (1782 – 1852) from Frederick County, Maryland & Nancy (Newcomer) Musser (1782 – 1866) from Pennsylvania. Peter’s parents previously founded Petersburg in Springfield Township. Amity had a tavern & inn at the Musser residence & Peter was the postmaster. Peter & Nancy moved after the post office was discontinued & were buried with relatives in Old Champion (Presbyterian) Cemetery at the intersection of SR 45 (Mahoning Ave) & Champion Ave W in Champion Township, Trumbull County. Description: It was named after the Bentley family in the county & was along the Lawrence Branch of the Pennsylvania Railroad in the late-1800s to early-1900s. The town was last spotted on an 1898 railroad map. Description: Boswell’s heyday was in the 1870s with a general store, blacksmith shop, shoe shop, & a school on the south side of town in the northwest corner of the intersection of SR 534 & SR 165 (S Range). William H. Arnold (1840 – 1893) was the last postmaster. He was buried with relatives in Canfield Cemetery about 15 miles northeast of the GPS coordinates on the south side of US 224 (E Main St) in Canfield. Description: It was named after Hillsville, Pennsylvania & was along the Lawrence Branch of the Pennsylvania Railroad in the late-1800s to early-1900s. The town was last spotted on an 1898 railroad map. Description: The town was founded by Irish immigrants Robert Kirkpatrick (1768 – 1847) & Catherine (Ewing) Kirkpatrick (1769 – 1856). Their surname was later Americanized & shortened to Kirk. Covenantor Cemetery started out on the Ewing family farm & dates back to at least the early 1820s. Catherine’s widowed mother, Ann Ewing (1738 – 1821), is the oldest known interment & made the journey to the U.S. in 1792 along with 4 of her children. The Kirkpatrick & Ewing families were related by several marriages. In the later 1800s, there was a church at the cemetery & a school on the east side of S Lipkey Rd north of the GPS coordinates. The school was on land donated by William Young (1804 – 1885) from Beaver County, Pennsylvania & his 3rd wife, Ellen (Wallace) Young (1818 – 1880). Everyone previously mentioned in this listing was laid to rest in Covenantor Cemetery. Nettie (Haun) Slabaugh (b. 1867) was the town’s postmaster. Description: The town name refers to the Lake Shore & Michigan Southern Railroad. Description: The original propritors were David Loveland (1801 – 1878) & Lydia (Pyle) Loveland (1808 – 1877) who donated land for a train station on the Niles & New Lisbon Railroad (later bought by the Erie Railroad). Its former track path heading north from the intersection is currently part of the Mill Creek Metroparks Bikeway. The track path heading south is getting reclaimed by nature. Loveland had a mill, an Evangelical church, & a school in the northwest corner of the intersection of SR 46 (Columbia – Canfield Rd) & W Western Reserve Rd. Its post office was called Loveland Station because there was already an office named Loveland in Clermont County. David & Lydia had a few children & were buried with relatives in Poland Riverside Cemetery about 11 miles northeast of the GPS coordinates at the intersection of US 224 (E McKinley Way) & Riverside Dr in Poland. Lewis Templin (1812 – 1899) from Berks County, Pennsylvania was the town’s only known postmaster. He was buried with relatives in Christian (Disciple Church) Cemetery 5 miles southwest of the GPS coordinates a the intersection of SR 165 (S Range) & Beaver Creek Rd. The area of Loveland now goes by the name Marquis. Description: Nebo was a mining & railroad town on the Pittsburgh, Youngstown, & Ashtabula Railroad in the late-1800s to early-1900s. Iron & coal were mined from the area to help feed the iron works at Lowellville. Coal was also previously exported to Cleveland on the Pennsylvania & Ohio Canal. Description: It was directly across the Mahoning River from Nebo & first appeared as a platted town in the 1875 county atlas. Some of the lots sold for relatively high prices, as much as those in Lowellville at the time. However, Newport failed to attract businesses & enough residents to create the village that was once hoped for on paper. Description: Park Place was listed in the 1875 county atlas & was eventually annexed by Youngstown. Flint Hill, Kyles Corners, & Lansingville are some of the other formerly separate towns that were also absorbed by Youngstown as it grew. Description: The proprietors were Alexander Scott (born c. 1827) from Pennsylvania & Harriet Scott. They owned about 350 acres of land in southwest Milton Township & had several children. Description: It was was along the Lawrence Branch of the Pennsylvania Railroad in the late-1800s to early-1900s between Bentley & Hillsville. The town was last spotted on an 1898 railroad map. Description: John J. Snyder (1833 – 1906) from Lancaster County, Pennsylvania & Rebecca (Miller) Snyder (1835 – 1907) donated land for train tracks & a station between Columbiana & North Lima. They were buried with relatives in Good Hope Lutheran (Mount Olivet) Cemetery 2 miles north of the GPS coordinates at the intersection of SR 164 & SR 165 (S Range) in North Lima. Description: Subrosa had a school on the west side of SR 170 just south of the GPS coordinates. Jonathan Miller was the last known postmaster. Description: It was about 6 miles northeast of Salem. The town was founded by Michael Ohl (1784 -1857) & Eva (Moyers) Ohl (1786 – 1860). They were married in 1838 & had 8 children. Michael constructed a saw & grist mill in 1844 on the banks of the Meander Creek, operated a hotel, & was the first postmaster of the post office that ran from 1841 – 1902. The first church in Ohltown was built in 1838, a school in 1857, & a bank in 1868. During the 1880s the town also had about 30 houses, a blacksmith shop, two stores, a newer grist mill, & a train station on the Niles & New Lisbon Railroad. Many of the local residents worked in coal mines or at the Meander Iron Furnace.